Your roof gives you protection from weather, especially the stormy kind. But sometimes a roof get damaged, even during what you thought was a minor storm. Sometimes it may be days or weeks before you discover storm damage to your roof. It can be especially difficult if you don’t know what to look for. If you don’t realize it until it’s too late, you could be facing a big mess – and a big repair bill. Champion Services wants to help you deal with roof problems after a storm. Here are four ways to tell if you have damage that may require roofing repair. Shingles – After any storm, you should always go out and check your shingles. Take a pair of binoculars if necessary so you can scan over your rooftop from the ground. Do you notice any missing, cracked, or broken shingles? If so, these are a dead giveaway that you have storm impact. Call a roof repair company as soon as you see damaged shingles. Granules – Speaking of shingles, a lesser-known sign of roof damage is the loss of granules. Granules cover shingles and provide UV protection. After a storm, granules can become dislodged and fall from your shingles. If you notice lots of granules in your gutters or where your downspout dumps out, call a roofing company. Debris – Is there debris on your roof? Tree limbs and branches could be hiding damage. If you’re concerned about removing these things on your own, call us to see what your next steps should be. Gutters and flashing – Your gutters and flashing play a significant role in the health of your roof. A bent or broken gutter or cracked flashing means that water may not flow away from your roof as it should. This can lead to leaks and water damage, both of which create more expensive repairs. 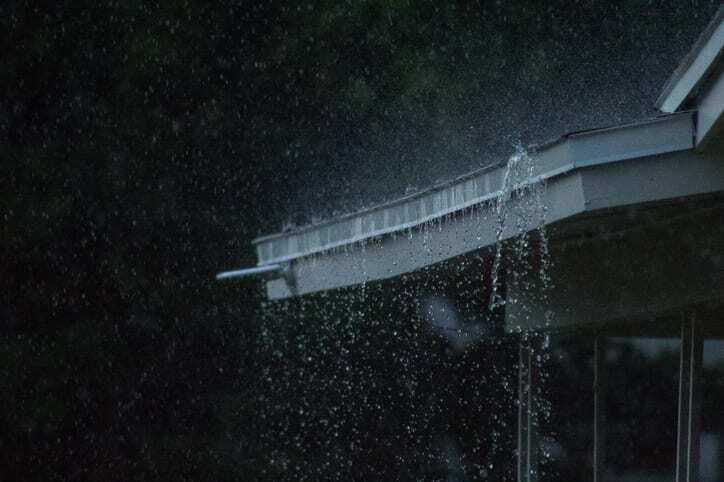 Be proactive by inspecting your gutters and flashing after every storm. If you ever need roofing services, contact Champion Services. Our roofing contractors are ready to make any repairs you need following a storm. Call today for a free estimate!